Can You Paint Treated Pine Picket Fences? Pressure-treated lumber is wood that has been impregnated with chemicals to make it resistant to rot or insects like termites. 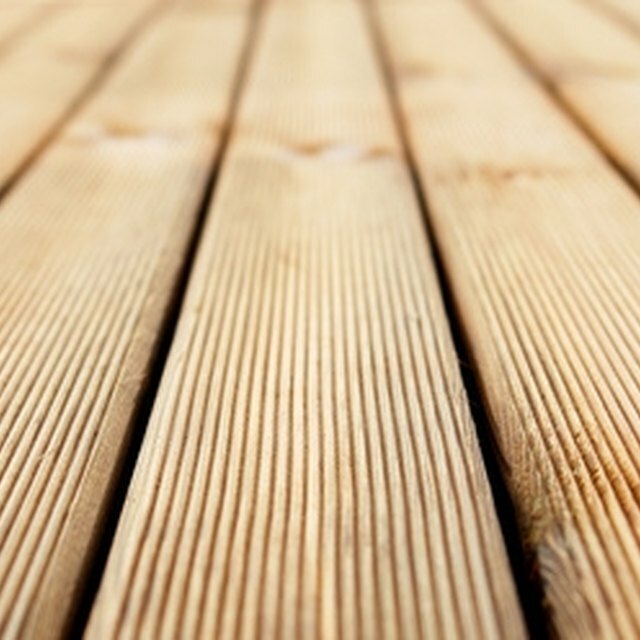 It is commonly used in decks, fences and other construction where wood will be exposed to frequent moisture and is in close proximity to the ground, where termites live. Most pressure-treated wood is pine, which can be painted in most cases with proper preparation once it is thoroughly dried. Painting a picket fence can be a challenge without proper prepration. The first step is to determine the type of preservative, water-based or oil-based. The two usual water-based types are ACQ (alkaline copper quaternary) or CCA (chromated copper arsenate). The copper gives the wood a greenish cast, which will fade with time. Oil-based preservatives are called LOSP (light organic solvent protection), from several suppliers. CCA lumber once was the most common, but has not been made for home use in the United States since 2003 under an agreement between the industry and the Environmental Protection Agency. Some older fences still may be made of CCA boards. A pine fence with water-based preservative must dry thoroughly before painting. That can take as little as 90 days or as long as a year, depending on the type of lumber, the preservative and drying conditions. Some is sold very wet with preservative and air-drying will take a long time. Some is kiln-dried, to remove moisture before sale. A simple test of dryness is to sprinkle some water on a board. If the water stays on the surface, the wood is too wet to take paint; if it is absorbed, it can be painted. Use two coats of acrylic latex paint on a CCA or ACQ pressure-treated pine fence, although a stain may be a better option on CCA if there is any question about it being dry enough. Put on a primer first, allow it to dry, then add a finish coat in the desired color. Make sure the wood is clean before starting. If the fence has been installed for a while, use a power washer or bristle brush with water to eliminate all dirt, dust or other foreign matter that might have accumulated while the fence was drying. If the primer does not soak in easily, stop and wait for the wood to dry more. Paint a LOSP fence with an oil-based primer and two finish coats. Some LOSP wood comes preprimed, in which case you can skip the prime coat. The finish coats may be either oil-based or water-based latex, depending on the type of primer used. Check the paint manufacturer's recommendations on the primer; some will accept latex, others will not. LOSP fences also must be clean before painting. What Is the Difference Between English Oak & American Oak Furniture?